A friendly witch and her cat are blissfully flying through the night sky on a broomstick. The wind unexpectedly blows the witch’s hat away, then her bow, followed by her wand! Fortunately, three kind animals find the witch’s belongings and end up taking a ride on her broomstick. But, the witch’s broom snaps in half under the weight of all the new passengers, and they face the danger of being eaten by a hungry dragon! 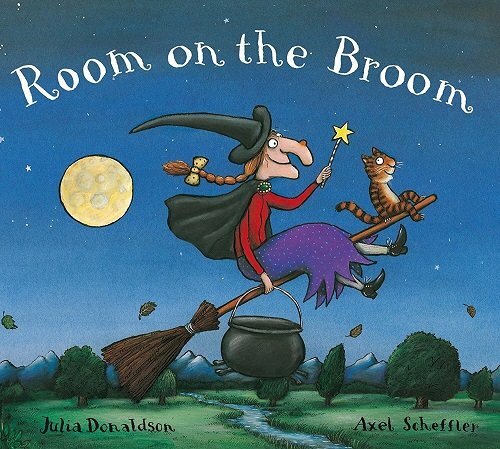 Room on the Broom is a favourite picture book among many speech pathologists, teachers and parents due to the mesmerising illustrations and repetitive rhyming text. Older children may be able to identify the moral of the story, which is all about the importance of friendship and benefits of being kind to others. For further speech and language targets in Room on the Broom, see the list below.